The Best Information System award, granted each year by the leading Slovenian scientific research institute—the Jožef Stefan Institute—was presented to the University Children’s Hospital, University Medical Centre Ljubljana, at the start of the Information Society – IS 2016 conference held last week. 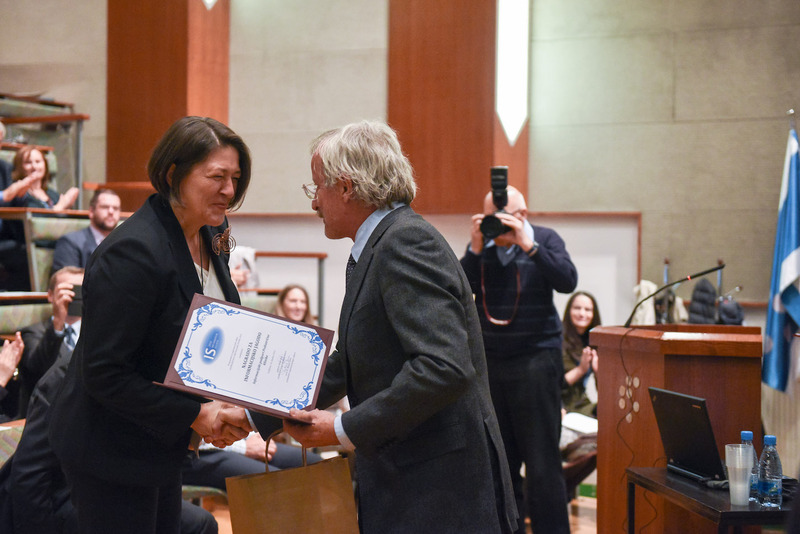 The award was presented by European Commissioner Violeta Bulc to prof. dr. Rajko Kenda, Medical Director of University Children’s Hospital Ljubljana. The hospital’s clinical information system was almost entirely developed by Better by Marand. Since 2010, Better by Marand has been developing the Think!Clinical system at the University Children’s Hospital Ljubljana. At the beginning of 2016, the system achieved the level required for the University Children’s Hospital to become the first Slovenian paperless hospital. Global trends indicate that work processes have to be digitalized, which sometimes presents a serious challenge. In collaboration with Better by Marand, the University Children’s Hospital Ljubljana embarked on the path of digitalisation several years ago and results followed soon after, with the possibilities for future development continuing to expand. Best practices and know-how established during the project bring several benefits both at the national and international levels. The Children’s Hospital is part of the University Medical Centre Ljubljana (UMCL), with 2,200 beds and 8,000 employees one of the largest health institutions in Central Europe. Thanks to its outstanding achievements in the field of health care, UMCL is comparable to some of the most renowned institutions in Europe and worldwide.